South Florida has endless outdoor opportunities you can take advantage of while visiting. Miami is a gorgeous location to catch endless species here in Florida. Every adventure out on the water can lead you to the fish of a lifetime. A Freshwater Snook Fishing Charter can be a great addition to your vacation. Take a break from the beaches and hop on board with your loved ones for a trip of a lifetime! Miami bass fishing can really allow you to experience all that Florida is about. When you are traveling here, you have to set the hook into our exotic species. The Florida peacock bass is the dominant bass that is fished here in Miami. Our local experts have extensive knowledge about fishing here in South Florida. Miami is not the only destination that can produce exotics. Broward county holds excellent waters to do so as well. 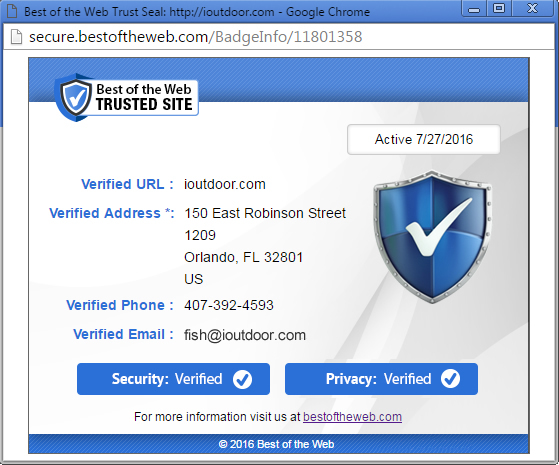 Captain Robert Miley is our Miami local expert and Captain Brett Isackson is our Broward County local expert. Captain Robert Miley had the pleasure to go bass fishing with Julie and Don. They were traveling from Dallas, Texas on vacation. While they were here in South Florida, bass fishing was on the list to do. Julie and Don went out on a quick 4 hour trip that led them to experience something they never imagined. It was truly a trip of a lifetime for them. Several lakes and canal systems fill South Florida. In Miami, one of the best lakes is Airport Lakes. Airport Lakes has a side lake called Blue Lagoon that has produced excellent fishing all year long. One of the impressive parts about fishing in Blue Lagoon is the ability to catch a variety of species. Florida peacock bass dominate the waterway but you can also catch Snook, jack crevalle, largemouth bass, tilapia and a number of other members of the cichlid family. 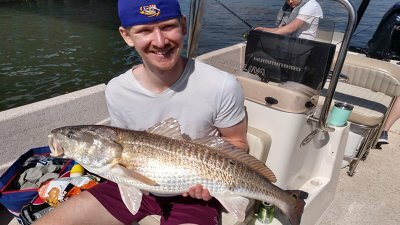 Airport Lakes is a great destination for anglers that want the ultimate experience. As well, it is great for family, loved ones, and inexperienced anglers that want to set the hook. Every chance to do so can lead to the fish you dream about. Julie and Don can attest to that fact. Weather conditions were beautiful for this fishing trip. Everything lined up for an absolute slug fest on the water. Julie and Don caught 10 quality peacock bass with all of them in the 3 to 5 pound range. 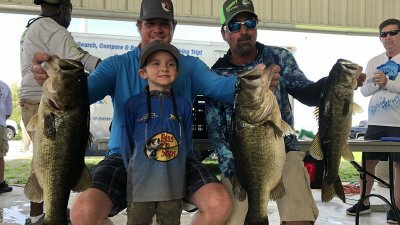 The biggest bass weighed 5.25 pounds. A fish of this magnitude is considered a trophy peacock bass. Along with this great catch, they also caught a monster freshwater Snook. 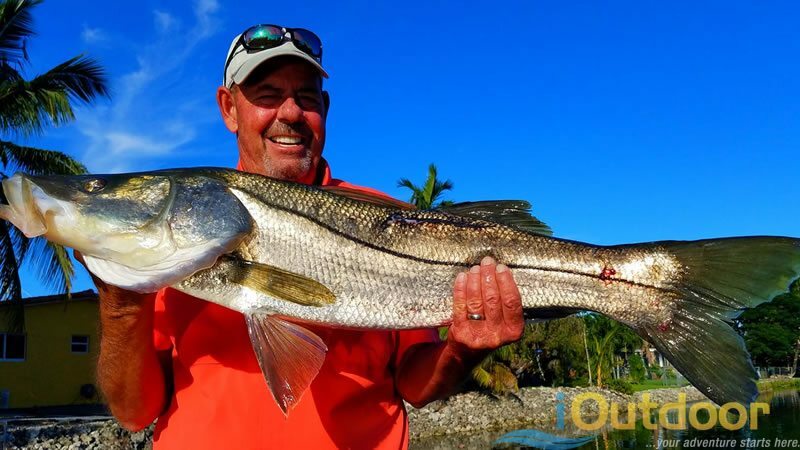 This Snook weighed in at 17 pounds and took them for a fight they won’t forget. Just shortly after bringing this giant to the boat, they also caught a 12 pound jack crevalle. This fishing trip was a never ending day of catching fish. Julie and Don caught a big tilapia to top it off. When you visit Miami, you can catch all the species you can hope for. 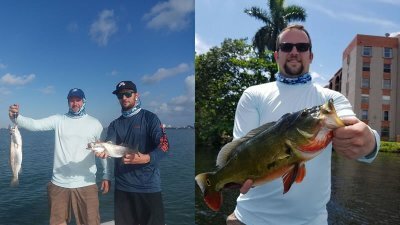 Captain Robert Miley is looking forward to catching so many more exotic species in Miami next time they come back to enjoy South Florida Fishing. Just shortly after this fishing trip, Julie and Don traveled further north to Broward County to see what they can get themselves into. 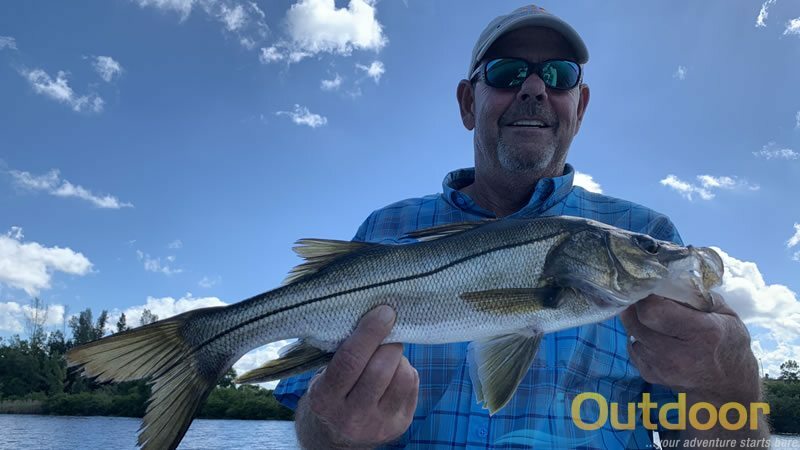 Captain Brett Isackson had the pleasure of fishing with them at Markham Park which is right on the edge of the Florida Everglades as well as Fort Lauderdale. 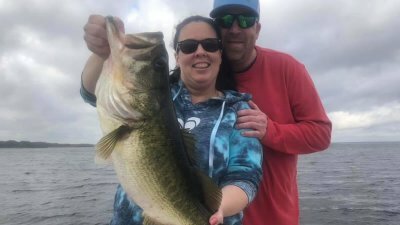 They were able to experience more bass fishing along with checking off another Florida exotic on their list. Florida blessed them with another beautiful day on the water. Don and Julie put several more exotic species in the boat including peacock bass and snakeheads. They also caught a Snook but nothing compared to the one they caught in Miami. 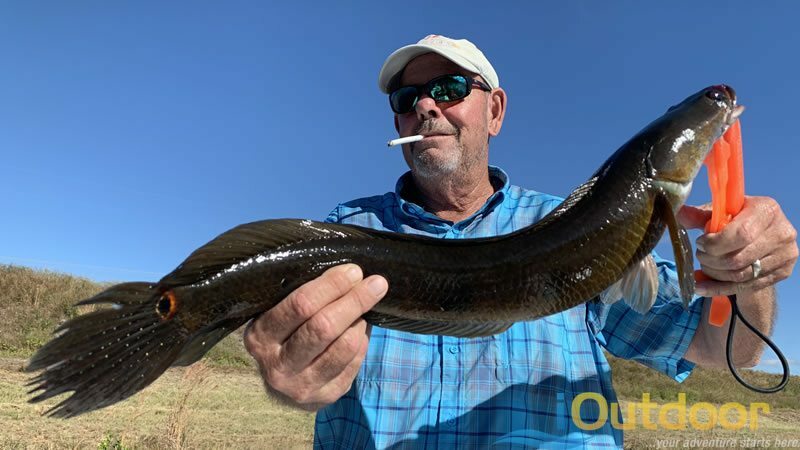 Don and Julie were excited to get the opportunity to catch the exotic snakehead. They really enjoyed their aggressive strike along with their powerful fight. Captain Brett Isackson is excited to get another opportunity to catch more species with Don and Julie next time they visit South Florida! When you are planning your next vacation to South Florida, make sure to consider getting out in the outdoors. 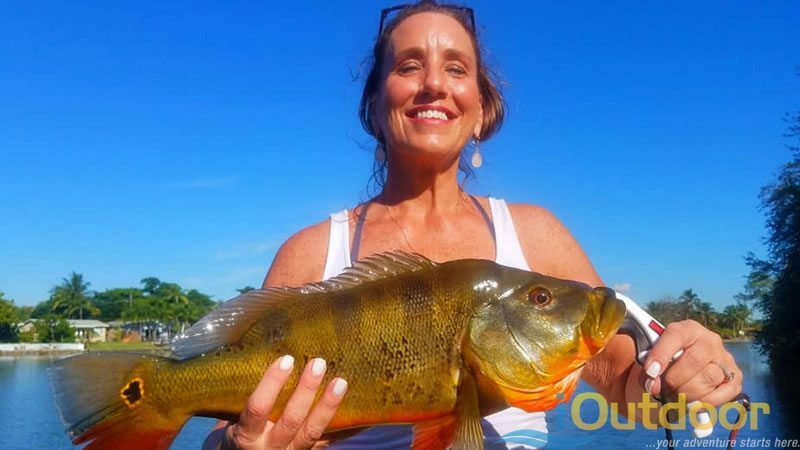 One of the best ways to do so is on a bass fishing charter. You can experience endless amounts of species that come in a variety of sizes. Bring your family along on an adventure of a lifetime. The bass and exotics are biting strong, so don’t miss out on your adventure while it is still hot. We look forward to seeing you next time on the water!